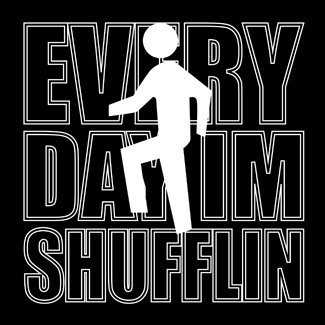 Every Day Im Shuffling :: Are You Shuffling? Get The Shirt! Party Rock tribute tee available now! Party Rock! Every Day Im Shuffling shirts to celebrate LMFAOs hit song Party Rock Anthem. The song has for some time now been an international hit with the dance crowds spawning it's own dance craze that borrows from the Australian Shuffle. 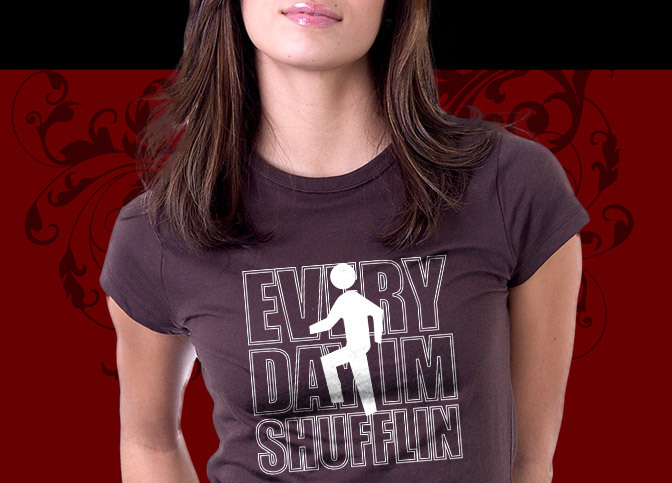 The Every Day Im Shuffling shirts are available in styles to fit the entire family. There are all sorts for great colors and styles to choose from.